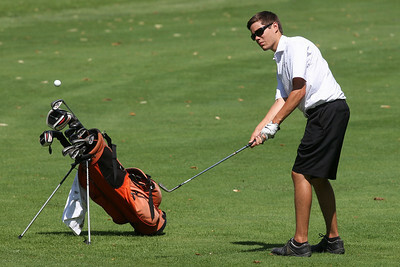 Coverage of the McHenry County Junior Golf Association's McHenry Open Monday, July 23, 2012 at the McHenry Country Club. Mike Greene - mgreene@shawmedia.com Ann Bandolik watches her putt approach the hole on the 18th during the McHenry County Junior Golf Association's McHenry Open Monday, July 23, 2012 at the McHenry Country Club in McHenry. Bandolik shott a 45 for the open, earning her a tie for second place in the Girls Senior Division. Mike Greene - mgreene@shawmedia.com Bailey Bostler chips onto the green during the McHenry County Junior Golf Association's McHenry Open Monday, July 23, 2012 at the McHenry Country Club in McHenry. Bostler shot a 46 for the open, earning her a tie for third place in the Girls Senior Division. Mike Greene - mgreene@shawmedia.com Zoe Dowell putts during the McHenry County Junior Golf Association's McHenry Open Monday, July 23, 2012 at the McHenry Country Club in McHenry. Mike Greene - mgreene@shawmedia.com Joe Addante chips onto the green during the McHenry County Junior Golf Association's McHenry Open Monday, July 23, 2012 at the McHenry Country Club in McHenry. 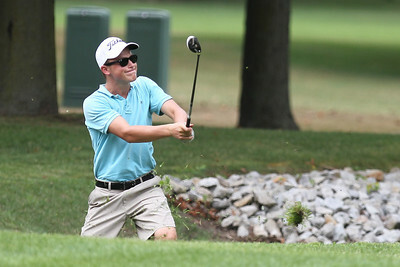 Mike Greene - mgreene@shawmedia.com Maxwell Bevill hits from a tough lie during the McHenry County Junior Golf Association's McHenry Open Monday, July 23, 2012 at the McHenry Country Club in McHenry. Bevill shot a 89 for the open, earning him a tie for sixth place in the Boys Junior Division. 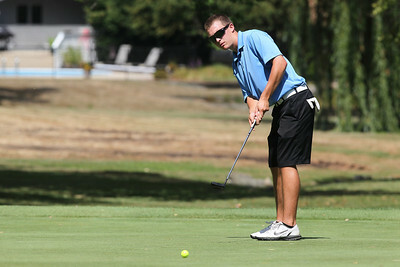 Mike Greene - mgreene@shawmedia.com Hunter Simonini putts during the McHenry County Junior Golf Association's McHenry Open Monday, July 23, 2012 at the McHenry Country Club in McHenry. Simonini shot a 85 for the open, earning him a tie for fourth place in the Boys Junior Division. 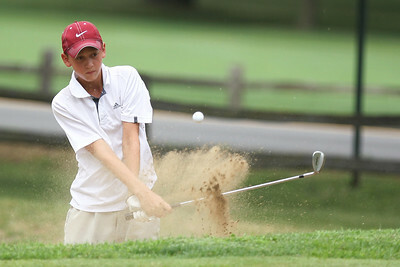 Mike Greene - mgreene@shawmedia.com Remington Reid hits out of a bunker during the McHenry County Junior Golf Association's McHenry Open Monday, July 23, 2012 at the McHenry Country Club in McHenry. Mike Greene - mgreene@shawmedia.com Matt Clarkson hits out of a bunker during the McHenry County Junior Golf Association's McHenry Open Monday, July 23, 2012 at the McHenry Country Club in McHenry. 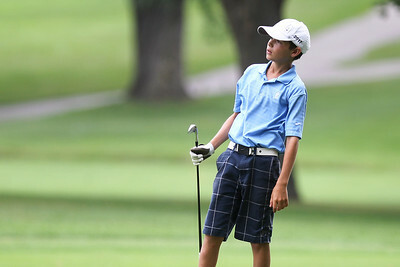 Mike Greene - mgreene@shawmedia.com Ethan Farnam watches his ball fly after an approach shot during the McHenry County Junior Golf Association's McHenry Open Monday, July 23, 2012 at the McHenry Country Club in McHenry. Farnam shot a 76 for the open, earning him first place in the Boys Junior Division. Mike Greene - mgreene@shawmedia.com Eric Adams chips during the McHenry County Junior Golf Association's McHenry Open Monday, July 23, 2012 at the McHenry Country Club in McHenry. Mike Greene - mgreene@shawmedia.com Austin Wiggerman waits for his turn to putt during the McHenry County Junior Golf Association's McHenry Open Monday, July 23, 2012 at the McHenry Country Club in McHenry. Wiggerman shot a 81 for the open, earning him fourth place in the Boys Senior Division. 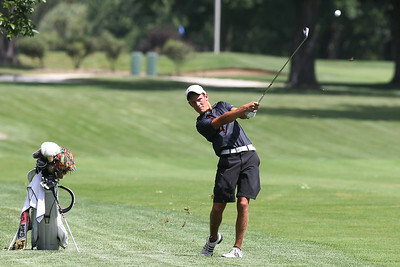 Mike Greene - mgreene@shawmedia.com Austin Wiggerman hits an approach shot during the McHenry County Junior Golf Association's McHenry Open Monday, July 23, 2012 at the McHenry Country Club in McHenry. Wiggerman shot a 81 for the open, earning him fourth place in the Boys Senior Division. Mike Greene - mgreene@shawmedia.com Samantha Leicht tees off during the McHenry County Junior Golf Association's McHenry Open Monday, July 23, 2012 at the McHenry Country Club in McHenry. Leicht shot a 45 for the open, earning her a tie for second place in the Girls Senior Division. Mike Greene - mgreene@shawmedia.com Tyler Hamid watches his putt approach the hole during the McHenry County Junior Golf Association's McHenry Open Monday, July 23, 2012 at the McHenry Country Club in McHenry. Hamid shot a 84 for the open, earning him a tie for sixth place in the Boys Senior Division. 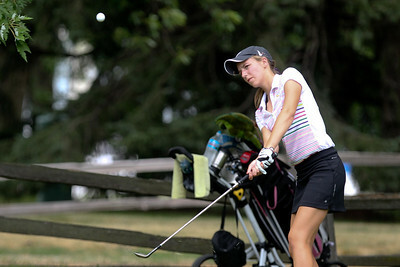 Mike Greene - mgreene@shawmedia.com Delaney Buenzli watches her shot during the McHenry County Junior Golf Association's McHenry Open Monday, July 23, 2012 at the McHenry Country Club in McHenry. 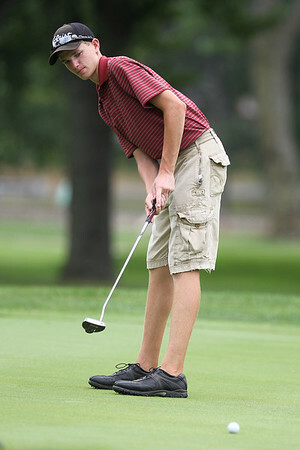 Hunter Simonini putts during the McHenry County Junior Golf Association's McHenry Open Monday, July 23, 2012 at the McHenry Country Club in McHenry. Simonini shot a 85 for the open, earning him a tie for fourth place in the Boys Junior Division.